A Thought: Hold on to Hope. I’m thinking about and praying for people I care about who need a dose of hope today. Life never stays in one place, so know this valley is not going to last forever, because the mountaintop is ahead, and the Lord and your circle of support will help strengthen you in the climb up. 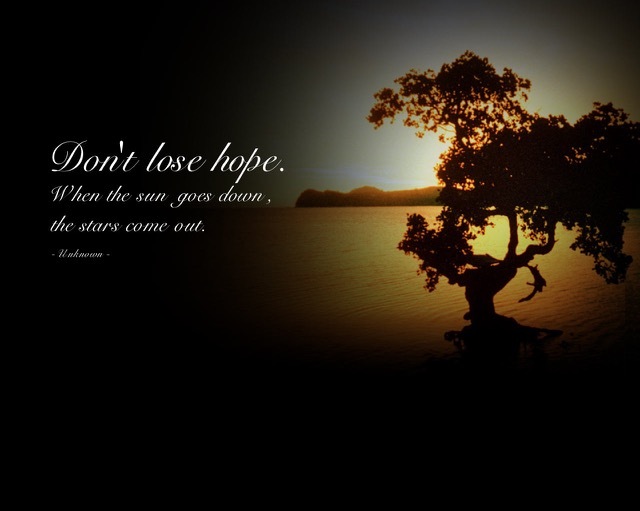 Hope is real—it enabled you to get out of tough spots before and it will be there for you again. Today be comforted and encouraged in the Hope of Christ and the Love of God.